Advanced Vision Care offer the highest standard of private cataract surgery in London. A good thing too, given that a staggering ten million people worldwide are believed to be cataract sufferers. A cataract is a condition that is typically age related. It tends to happen due to a loss of transparency of the eye’s natural lens. What are the main symptoms of cataracts? The main indications that a patient may be suffering from cataracts include blurry or cloudy vision, loss of visual clarity and colour, halos and glares around objects, and a general difficulty when reading or watching TV. Patients may also find regular changes in lens prescriptions happening. At what ages do people generally develop cataracts? Research indicates that around half of the population will develop the condition by the age of 65, and almost all people at the age of 75 have at least one. 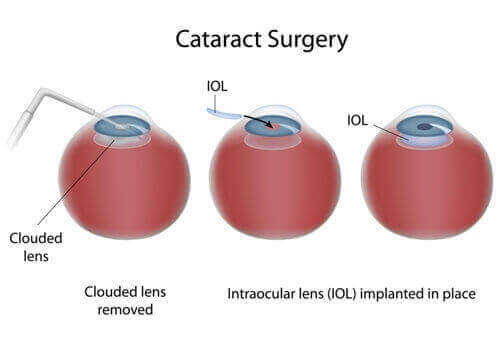 Why opt for private cataract surgery at a leading & Trustworthy clinic? When it comes to vision correction and treatment of cataracts, a patient’s results are highly determined by the skill of the performing surgeon. An experienced surgeon at a leading clinic, such as Advanced Vision Care on Harley Street, can help remove cataracts safely and without complications. How Long Does Private Cataract Surgery At Advanced Vision Care On Harley Street London Take To Perform? With the latest cutting edge procedures, as used by elite clinics like Advanced Vision Care, the entire cataracts treatment takes no longer than an hour at max. If you would like to find out more about private cataract surgery at Advanced Vision Care and what it can do for your eyesight, then why not call AVC TODAY on 0800 652 4878 and request your free information pack or book your consultation to find out how we can help you.